Home » » How Would You Describe Yourself? 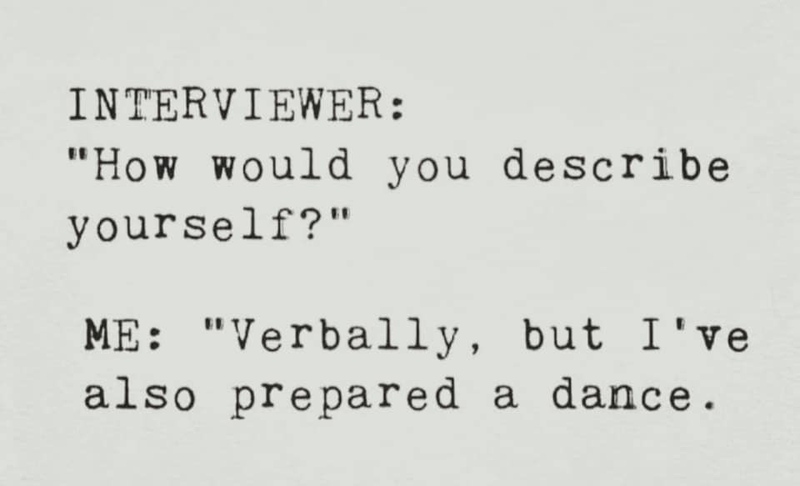 Interviewer: How Would You Describe Yourself? 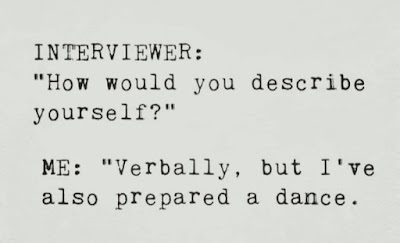 Me: Verbally, but I've also prepared a dance.